If you prefer to have a house to yourself, or when traveling with two families, we offer you our 8 pax holiday home in Montbrio del Camp. Only 1.5 km away from our B&B. Only 7 minutes from the beach and the mountains. The house consists of a living room, a separate kitchen, utility room, 4 double bedrooms, 2 bathrooms, a separate 3rd toilet, garage for two cars and a large sunny terrace. Of course, you have a dishwasher, washing machine, satellite TV with and an excellent Wifi connection! For children, there are board games, toys and a PS3. The sunny terrace is completely fenced and has access to the garden and pool. It is a perfect (2) family holiday home. Great for kids, safe and quiet! Montbrió del Camp is adjacent to Cambrils. The village has about 3000 inhabitants and all the necessary facilities: shops, supermarkets, restaurants, hairdressers, drugstore, pharmacy, etc. You will have an unforgettable and sunny holiday! Kitchen with kettle, toaster, ceramic stove, 2 coffee makers (Nespresso cups and filter), oven with grill, microwave, dishwasher, fridge-freezer, central heating, air-conditioning, dining table with 4 chairs. Living/dining room with satellite TV, DVD player, PS3, music stereo set, couch, dining table with 8 chairs, central heating and air-conditioning. High chair on request. Utility room with washbasin, iron board, iron, washing machine. 2 bedrooms with double bed (160 x 200cm), build in closets, central heating and air-conditioning. 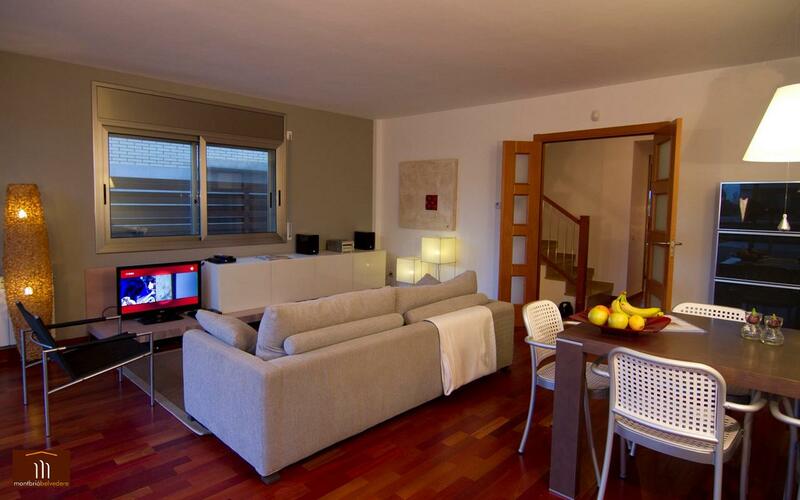 1 bedroom with bunk bed (90 x 200cm), TV, closet, central heating and air-conditioning. 1 bedroom with 2 single beds (80 x 200cm,) build in closet, central heating and air-conditioning. 1 bathroom with bath, washbasin, toilet, bidet and hairdryer. 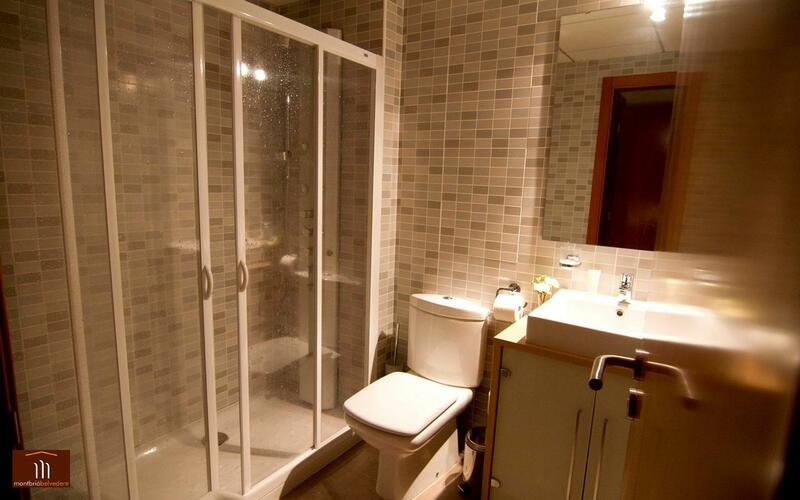 1 bathroom with shower, washbasin, toilet, bidet and hairdryer. Do you have a question or comment, do not hesitate and fill in the contact form. We will respond as soon as possible.